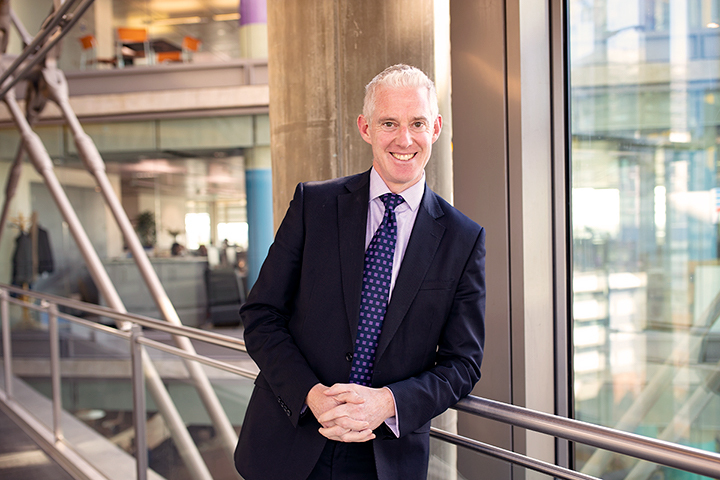 Mike Barry is the Director of Plan A and Sustainable Business for Marks and Spencer. He is known throughout the responsible business community as a key figure who has helped Marks and Spencer become world-renowned for its root-and-branch approach to sustainable retail. He helped to develop and deliver Plan A from its inception in 2007, and is responsible for delivering the company's ambitious plan to suport 1,000 communities, help 10 million people live happier and healtheir lives, and to convert M&S into a zero-waste business. Mike was named the Guardian's inaugural Sustainable Business Innovator of the Year in 2011. He is Co-Chair of the Consumer Goods Forum's Sustainability Steering Group, Chair of the World Environment Centre, a Visiting Fellow at the Smith Centre for Enterprise and the Environment at Oxford University, a Senior Associate at the Cambridge Programme for Sustainable Leadership and he sits on Business in the Community's Environment Leadership Team. Not only is he effective at creating change, Mike is one of the most genuine and thoughtful people I know. We had a fascinating and far-ranging conversation about how to create change, and what needs to happen to make businesses more sustainable over the coming decades. Enjoy the interview! I think you'll get a lot out of it.